One wedding detail that you should get creative with is your guestbook. It's going to be one of just a few details that you hold onto long after your wedding day has come and gone. Make sure it's something interesting that you'll want to look at for many, many years to come! 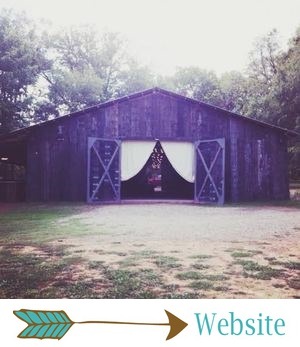 I wrote this post back in 2014, and I think anyone currently planning their wedding needs to look through these fun guestbook alternatives! Having keepsakes from your wedding day is so important. Nothing brings back memories from your wedding day quite like coming across something that you had at your wedding! I love seeing little reminders of my best day ever, so I've put a few details from our wedding around my house. One of the cute dinosaurs from our reception is sitting on my nightstand, so it's pretty much the first thing I see every morning, and it always makes me happy! A Globe. At Ani and Nathan's wedding at The Barn, guests signed their names on a globe! As someone who loves to travel, I adore this idea. You could ask your guests to sign over their favorite place they've ever traveled to, or you could simple have them sign anywhere. I would totally put this on display in my house! A Table. Lyndsey and Brad had a literal guestbook table. Lyndsey's grandpa built a table for their guests to sign, which is so special for multiple reasons! And a guestbook that is functional?! Yes, please. A Pallet Sign. Jordan and Nick's guests signed a rustic painted wooden sign. Wouldn't this be so cute in the bride and groom's living room or bedroom? I just love this one. It's so simple, but really lovely. A Calendar. Courtney and Chad had their guests sign a calendar, and I'm pretty sure that's the most genius idea I've ever heard. Not only do you end up with a super cute guestbook, but you also know all your guests' birthdays. Score! Courtney, you are a genius, my friend. A Picture or Painting. Sarabeth and John's guests signed this pretty picture. This would also be cute framed and hung up in a spot where you'd see it every day! A Bench. Molly and Chris had their guests sign this adorable bench with their initials on it. Once again, a guestbook that you can actually use! This one is precious. A Guitar. Seriously! Lauren and Jack's guests signed a guitar. How fabulous is that?! Fingerprint Tree. No matter how many times fingerprint trees (and balloons) have been used, they are still cute, and this one from Katie and Joe's wedding is no exception. This one perfectly fit their wedding theme! A Customize Photo Guestbook. At our wedding, Richard and I asked our guests to sign a photo guestbook that I spent forever designing. I designed it and printed it through Shutterfly, and I am still obsessed with it. It was filled with our engagement pictures, bits and pieces of our love story, and some funny questions for our guests to answer about us (by the way, their answers were HILARIOUS and I am still laughing about them). I love this book! It's something I still look at, and it is so meaningful and special to me. Which of these ideas is your favorite? If you're already married, did you go with a traditional guestbook, or did you use a more creative idea?